Luxury Lifestyle Awards 2014, get ready. 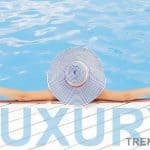 Luxury Lifestyle Awards is an international Award granted to the companies in luxury segment for their initiatives and outstanding achievements. Companies and brands of luxury class participate in the contest in different categories. 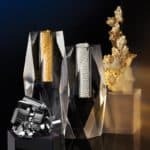 The competition for this prestigious award will bring together leading companies and brands of different segments of the luxury industry from several European countries — starting from UK, France, Spain and etc. Participants will be presented in 15 categories of luxury segment, in nominations such as urban and rural property, a boutique hotel, a restaurant, private banking, adventure’s company of individual travel, a nightclub, a wellness center, jewelry brand and other. Best of the best in each category will be awarded the award – «Golden Crown “. The awards ceremony is scheduled at 29th of August 2014 in London, United Kingdom. In order to guarantee the fairness of the competition, world wide consultants company PriceWaterhouseCooper will be controlling the correctness of the voting procedure and the final vote count. The Jury gathers a dream team of luxury professional experts that allows to keep a high level of quality and relevancy. The competition started geographically by rewarding companies located in CIS countries and now they are extending the coverage to Western Europe as well. Their aim is to install the Luxury Lifestyle Awards as the ultimate reference in terms of luxury recognition. London Luxury District West End is famous for its remarkable collection of streets and alleyways with a unique charm. For many centuries, the true connoisseurs of fine things were coming here for the discerning buyers and gourmet. That is why the area remains the ultimate destination up to these days. Worthy example of true British traditions is The Langham Hotel, where the awarding ceremony Luxury Lifestyle Awards will be held on August 29th, 2014. Here are some images from last year. We can see there is always a lot of people attending to one of the most important luxury events of the year. And the great thing with luxury is that there is always something amazing that can happen. One important detail is the award trophy itself. As a high-end luxury event, the award was created by prestigious US jeweler Faraone Mennella. The Golden Crown is a true work of art. Covered with 24 kt gold, it is made by high-qualified jewelers manually, and there is a special design for each winner. Faraone Mennella, a famous jewelry brand, has been a partner to Luxury Lifestyle Awards since 2011. It is Faraone Mennella that was honored to make the Award prize. Despite the prize and the recognition from its pairs, the winners in each of their categories will be able to display the official emblem of the competition, as a visual mark of the great work they have accomplished. Here are the different categories rewarded by the Luxury Lifestyle award competition. Each nominee chooses the category they wish to compete based on the nature of the company and of course the project, product or service provided. As you can see, the award is quite broad and covers all aspects of the luxury industry. When the Luxury industry gathers in order to celebrate the greatness of their work, only exceptional things can happen. Info sourced at the Luxury Lifestyle Award communication release. All content is copyrighted with no reproduction rights available.